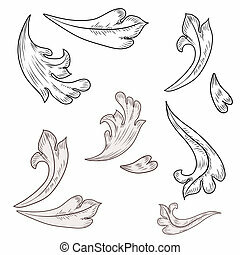 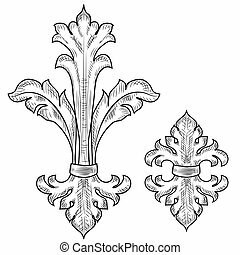 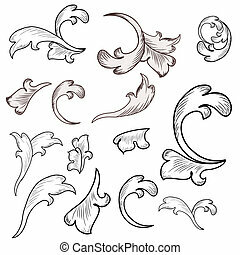 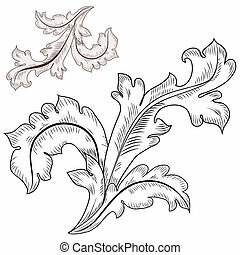 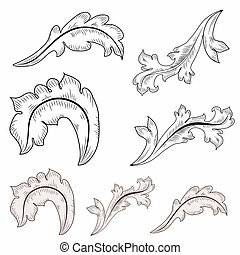 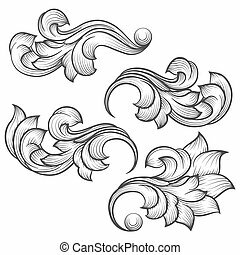 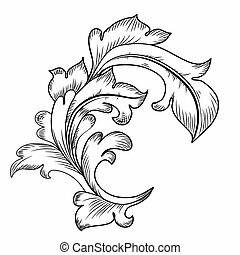 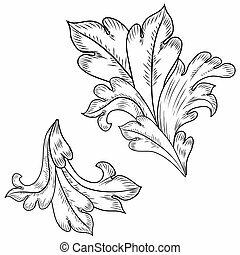 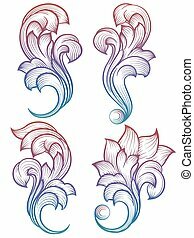 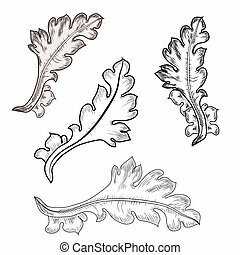 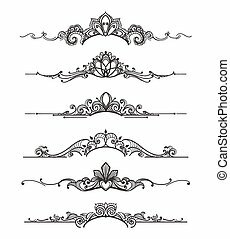 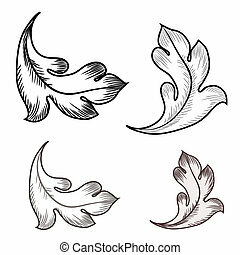 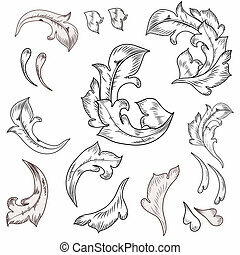 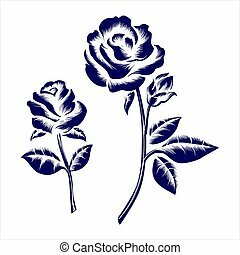 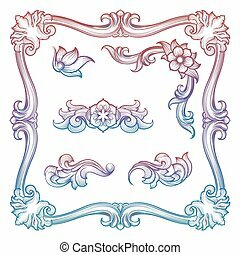 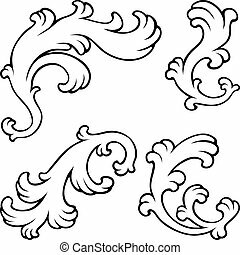 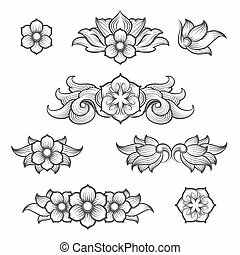 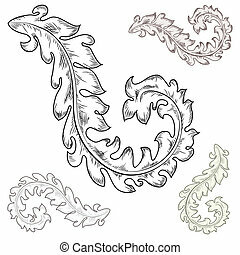 Floral baroque engraving elements. 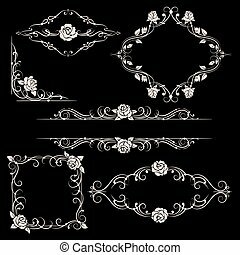 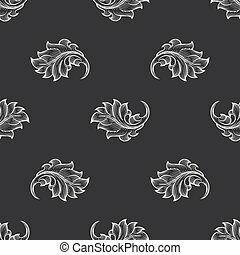 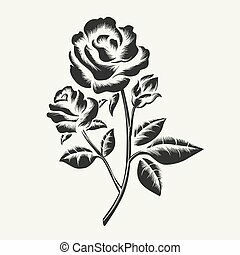 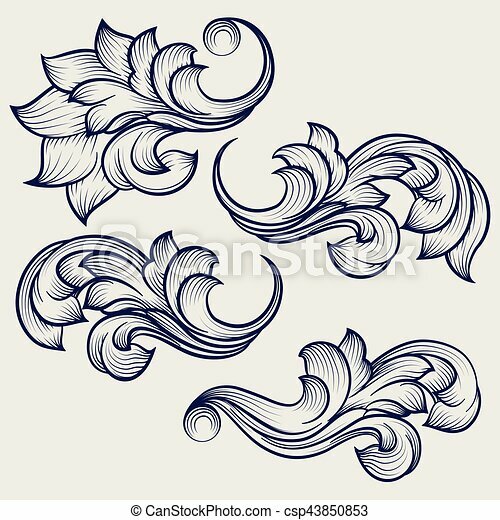 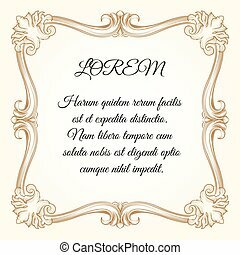 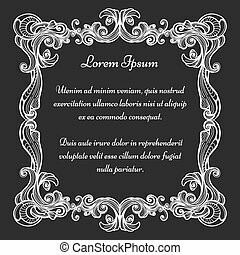 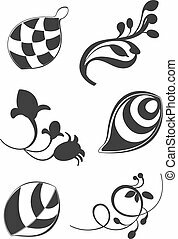 Hand drawn floral baroque engraving elements on grey backdrop. 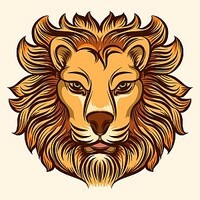 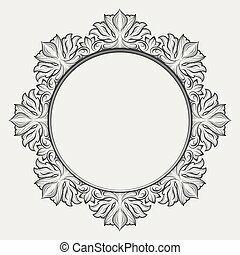 ector illustration. 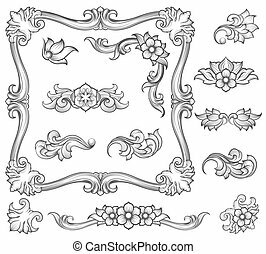 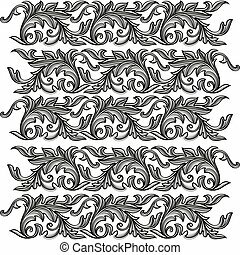 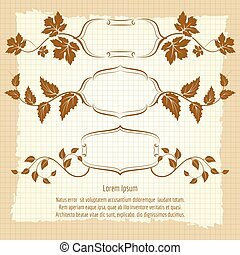 Vector vintage baroque engraving floral ornament - seamless pattern.